Temecula, Calif., Oct. 16, 2010 — Ian Stark, the cross-country course designer for the Galway Downs International Three-Day Event, says that he’ll be easy to find during the cross-country day, on Saturday. The Galway Downs International Three-Day Event runs Thursday through Sunday, Nov. 4-7, at the Southern California Equestrian Center near Temecula. Thursday and Friday are devoted to dressage; the event’s centerpiece of cross-country takes place on Saturday; and the action reaches a climax with show jumping on Sunday . This year’s 12th annual event will feature a CCI3* for the first time—the first time a CCI3* has ever been held in North America west of the Mississippi River. Horses and riders will also concurrently compete in the CCI2*, CCI1*, long-format CCI1* and the training-level three-day event. Galway Downs will mark the second time that Stark, a two-time Olympic medalist from Great Britain, has created a CCI3* course. His first CCI3* was at Bramham (England), an event held in June each year. He’s been designing the cross-country courses at Galway Downs since 2007. “There’s no difference in the standard between Galway Downs and Bramham,” said Stark, 56. “The main difference is that Bramham is very hilly, and you could use the ups and downs too much if you’re not careful, whereas at Galway Downs, what terrain there is, is all manmade, because it’s really a rather level piece of ground. “Consequently, we’ve made the course at the maximum distance so that the horses’ stamina really does come into play,” he added. The CCI3* course will cover approximately 6,000 meters (3.75 miles), with an optimum time of about 10 minutes. 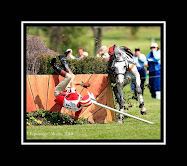 The horses will have to negotiate 39 jumping efforts, of a maximum 40 jumping efforts allowed by the rules. The CCI2* course will cover approximately 4,600 meters (2.85 miles), with an optimum time of about 8:25 and 34 jumping efforts. The CCI1* course will cover 4,200 meters, with an optimum time of about 8 minutes, and 31 jumping efforts. Both the CCI3* and the CCI2* courses will feature three water complexes, all redesigned for this event. All told, Stark said he has created “at least half a dozen” new combinations for this first CCI3*. In addition, the course will wind through the infield of the two concentric training tracks more than it ever has before. The Galway Downs CCI3* will offer $21,000 in prize money, substantially more than the prize money offered at any of the other three CCI3* events in North America. All told, the Galway Downs International Three-Day Event will offer $33,000 in prize money and more than $50,000 in total prizes. 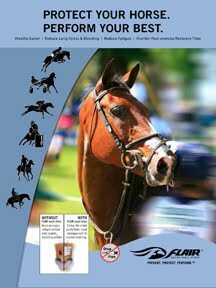 The generous presenting sponsorship of Professional’s Choice equine products, Point Two Air Jackets USA, and the Professional Riders Organization help make these prizes possible. Additional sponsors provide prize money, prizes and other support to the Galway Downs International Three-Day Event. Those sponsors include: Auburn Laboratories Inc., Big Horse Feed, CWD Saddlery, Doug Hannum Equine Therapy, Equine Insurance of California, Revere Saddlery, Riding’s Publications Inc., SmartPak Equine, and Sonoma Saddle Shop. General admission for the Galway Downs International Three-Day Event is $8 per day in advance, $10 at the gate. VIP tickets—which include seating in the ringside tent, lunch and a full selection of beverages—are also available for $55 per day in advance. For advance reservations, go to www.galwaydowns.com. For more information on the Galway Downs International Three-Day Event, visit www.galwaydowns.com or call 951-303-0405. To learn more about eventing, visit the U.S. Eventing Association’s website (www.useventing.com).